The Best Laser Cutting Services in New York! The Best Plasma Cutter in New York! The Best Robotic Welding Services in New York! When it comes to metal fabrication and manufacturing, there are many options available. However, out of all the possible methods, none is quite as dependable, affordable, and efficient as laser cutting. In our last blog, we at Fort Miller FAB3 looked at some of the advantages of robotic welding. In this blog, we would like to turn our focus to laser cutting. Read on to learn about its history and some of its greatest benefits. Contact Saratoga Springs’ Top Rated® Local Fabrication Company, for all your metal fabrication needs! 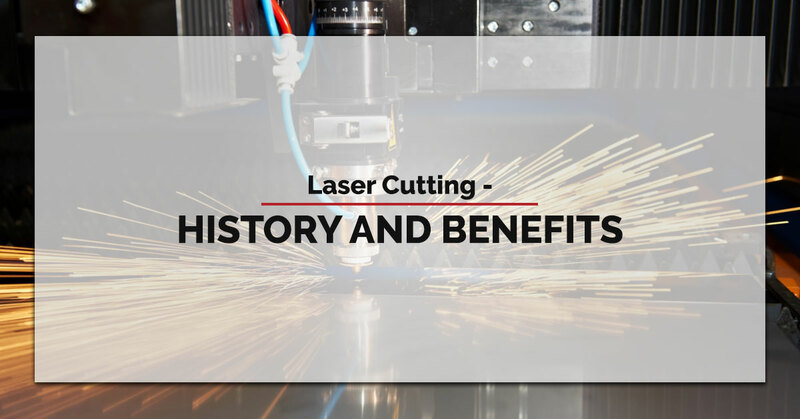 One of the first instances where lasers were used for industrial purposes was back in the 1960s when a laser cutting machine was used to drill holes in diamond dies—a wire drawing die made of diamonds and used for drawing fine wire of hard metals. It wasn’t until the 1970s when laser cutting became a viable option for other industries, namely manufacturers of sheet metal and textiles. Additionally, because of its ability to produce reliable, clean cuts, the aerospace industry also took an interest in laser cutting around this time. In the early days of laser cutting, materials had to be cut in a way similar to manual methods like shearing and sawing. This is because computer technology was not yet at a point where it could be utilized to guide cuts. As computer and technology became more advanced so did laser cutting, quickly becoming one of the most reliable and versatile forms of metal fabrication available. As we’ve said, laser cutting is one the most—if not the most—viable method for fabricators. So what is it about this process that makes it so valued by laser cut shops? Here are four reasons why it is the most relied upon method for metal fabrication. Precise Edge—when cutting with traditional methods, like a blade, it is not uncommon to see burrs or a rough finish that has to be buffed and smoothed out. This isn’t a problem when cutting with lasers. Exact Detail—laser beams do not wear. This improves precision. Additionally, because of the size of a typical laser and the fact that they are guided by high-powered computers, this allows for the creation of intricate designs that would otherwise be impossible to create. Low Maintenance—traditional cutting methods require routine upkeep and blade sharpening. Lasers don’t necessitate this sort of maintenance and can function for extended periods of time without needing servicing. Maximum Efficiency—whether you are making a prototype or pumping out full-scale productions, lasers do not need to be adjusted or retooled. This allows for optimal efficiency when fabricating. If past trends are any indication of the future, laser technology will only continue to improve, likely becoming even quicker, more efficient, and requiring less energy, which will, in turn, allow sheet metal fabricators to produce better results. At Fort Miller FAB3, we offer both laser and plasma cutting as well as robotic welding, and we take great pride in the work we do. We strive for perfection and make special requests routine. Whether it is plasma cutting stainless steel sheets or robotic welding or custom CNC work, Fort Miller FAB3 is here for all of your fabrication needs. Contact Saratoga Springs’ Top Rated® Local Fabrication Company today! ©2017 Fort Miller FAB3 - Do not copy. All rights reserved.